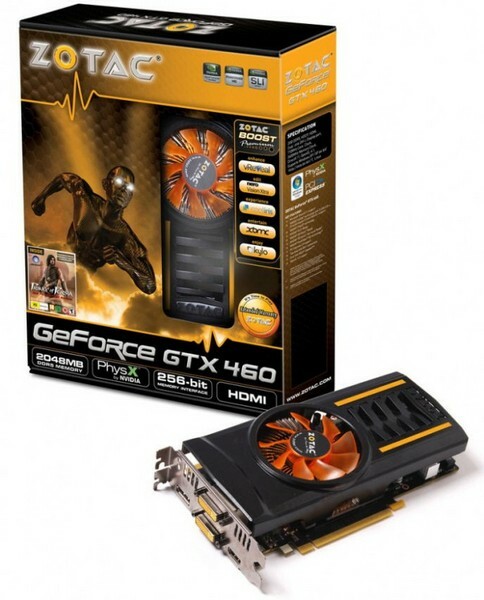 Zotac announces Geforce GTX 460 powered with 2GB GDDR5 memory. Zotac has revealed its new Geforce GTX 460 which will feature a 2GB GDDR5 Memory, Powered by the GF 104 the Geforce GTX 460 delivers outstanding gaming performance and the 2GB memory is really beneficial for those who play at higher resolutions. The card features an ultra wide 256-bit memory bandwidth. “PC gaming is always at the forefront of visual realism and continues to push the limits of hardware. Our latest ZOTAC GeForce GTX 460 2GB gives gamers that want maximum detail and quality settings an extra performance edge that lets them enjoy stunning details with smooth frame rates,” said Carsten Berger, marketing director, ZOTAC International. The card includes a custom cooler from Zotac on the top and comes with four display ports which include Dual DVI, HDMI and a DisplayPort on the front. A DVI to VGA Adapted is included within the box. Other than that, Prince Of Persia: The Forgotten Sands is also bundled with the package. 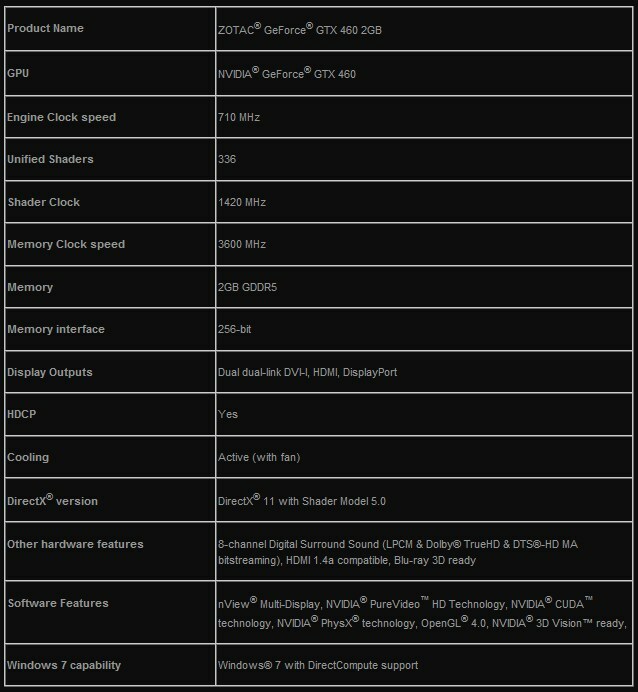 The card features slight factory overclocks which are 710/1420/3600Mhz for Core/Shader and memory. The card comes with Nvidia Exclusive features such as Cuda, Nvidia 3D Vision, PhysX, 3D Surround and Nvidia Pure Video. Pricing and availability of the card have not been revealed yet.